If you are in love with puzzle games then check out this unique, physics based puzzle platform game, Snake Pass game challenges players to ‘think like a snake’ as they tackle precarious puzzles as only a snake can. 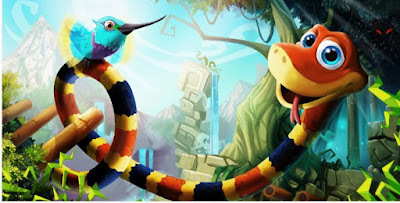 Slither through long grass, coil around bamboo and climb out of trouble in the latest game from award winning independent studio Sumo Digital. THE WALKING DEAD: A NEW FRONTIER – Episode 3 Is Now Available For Xbox One. After the shocking events of Ties That Bind: Part Two, Javier struggles to find a role in his newly reunited family. Meanwhile, tension within the walls of Richmond grows. Will Clementine and the rest of the group turn against Javier? Checkout discounted game for this week on Xbox Stores. valid till 3th April 2017.